Here are the jntuk B.Tech 2-1 R16 Mid-II Online Bits-2018 for all branches. 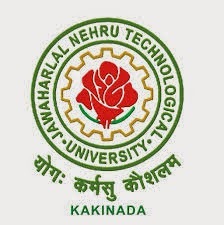 The jntu kakinada B.Tech and B.Pharmacy Mid Examinations are going to be held from 08.10.2018 on words. Just like in the first year how you had written the two mid examination and here in the second year also there are two mid examinations. There are two Online Exams carries of 20 marks for each mid respectively. So, Here we are providing the useful Online Bits for these examinations. The Bits Here we are providing are more useful to get good marks in the Online examination. Even though these are useful we request to prepare the full syllabus what is framed in the syllabus for MID-II exams by JNTUK. Click on the subject name to download.